Whether your shopping for a new copier, office supplies, furniture or are in need of service or repair, you can count on us for competitive pricing, best in class products and excellent customer service. For the third consecutive year in a row, 4 The Office has been selected as an Elite Dealer by The Week in Imaging, an online information and news publication for dealers who sell office equipment, technology, solutions, supplies, and services. 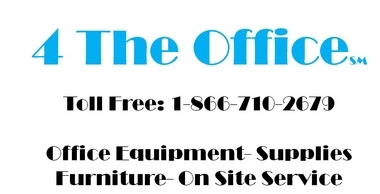 4 The Office offers the largest selection of office supplies, copiers, laser printers, wide format printers, shredders and office furniture in the industry. If you are interested in receiving a quote, opening an account to order online or in need of service on your copier or printer, feel free to call or contact us. Below we have made it easy for you to browse the vast array of products and services we offer, just click on the category and let's get started. 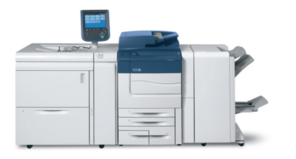 View more about the Xerox D Series here. View more about the Xerox C Series here. 4 The Office is a Xerox Document Technology Partner, Sharp CCR Dealer and an Authorized HP Business Partner. We want to share our 20 plus years of experience in the copier industry to help your organization select the proper equipment for your office. Whether you're a small business or an organization with offices nationwide, we have the products and solution to meet your needs. 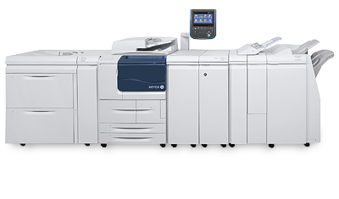 As an Authorized Xerox Document Technology Partner, Authorized HP Business Partner and a Authorized Sharp CCR Dealer we can deliver competitive pricing and quality service. We offer a variety of purchase options for copiers, printers, scanners and wide format devices which include Purchase, Leasing and Cost Per Print Programs. We offer Purchase, Lease, or Rentals. Quality Copiers and Printers starting at $299.00 and Leasing as low as $29.00 per month. No one manufacturer offers the best products and solutions for every customer need or segment. So, by offering "Best In Class" Products from different Manufacturers, we offer one of the widest selections of copiers and multifunction devices in Northeastern and Central Pennsylvania. Proudly serving Wilkes Barre, Scranton, Pittston, Kingston, Edwardsville, Hazleton, Mountaintop, Tunkhannock, Montrose, Towanda, Wyalusing, Williamsport, Sunbury, Berwick, Danville, Stroudsburg, Mount Pocono, East Stroudsburg, Emmaus, Allentown, Bethlehem, Lehigh Valley and Easton Pennsylvania. Authorized Xerox Document Technology Partner, Authorized Hewlett Packard Business Partner, Authorized Sharp CCR Dealer, Kyocera Copiers, Kyocera Printers, Copier, Copiers, Laser Printers, Fax Machines, All in Ones, Multifunctional Products, Print Management, PaperCut Print Management Software, Office Supplies, Office Furniture. Printer Ink, Printer Toner, Shredders, Copier Service, Copier Repair, Printer Repair, Printer Service, Wide Format Copiers, Printers, Scanners, Computers, Servers, Storage Systems, Thin Clients, Mailing Machines, Bar Code Printers, Label Applicators, Folders and Inserters, Pressure Seal Equipment, Tabbers and Forms Handling . Serving the following cities in Northeast and Central Pennsylvania, Pittston, West Pittston, Forty Fort, Exeter, Hanover Township, Wilkes-Barre, Dallas, Shavertown, Back Mountain, Edwardsville, Plymouth, Kingston, Tunhannock, Montrose, Clarks Summit, Scranton, Carbondale, Dunmore, Dickson City, Archbald, Olyphant, Taylor, Newfoundland, New Milford, Waverly, Old Forge, Honesdale, Hawley, Blakeslee, Milford, Dingmans Ferry, Tannersville, Marshalls Creek, Matamoras, Stroudsburg, East Stroudsburg, Bangor, Cresco, Tobyhanna, Mount Pocono, Berwick, Benton, Bloomsburg, Danville, Milton, Lewisburg, Sunbury, Selinsgrove, Middleburg, Williamsport, Shamokin, Shenandoah, Frackville, Hazleton, West Hazleton, Tamaqua, Pottsville, Schuylkill Haven, Easton, New Tripoli, Northampton, Allentown, Emmaus, Nazareth, Palmerton, Jim Thorpe, Freeland, Wyalusing, Laceyville, Towanda, Sayre, Athens and surrounding towns. Serving the following counties in Northeast and Central Pennsylvania, Luzerne, Lackawanna, Wyoming, Susquehanna, Pike, Wayne, Monroe, Bradford, Sullivan, Lycoming, Montour, Columbia, Union, Snyder, Northumberland, Schuylkill, Lehigh, Carbon and Northampton Counties. *Free Shipping Offer Not Valid on Furniture And Equipment Purchases. LOGO DISCLAIMER: All products, Logos, brand names, or company names mentioned or shown in this website are properties and trademarks or registered trademarks of their respective companies.